With each client, I create an inspiration board. This is my process. 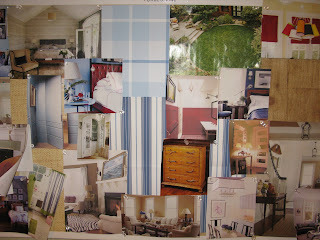 I add swatches, clippings, quotes, photos...anything that connects me with my client and their space. Some I use and some pieces just simply direct me. Without these boards lining my office walls, I would be forever spinning, not knowing what direction to go.